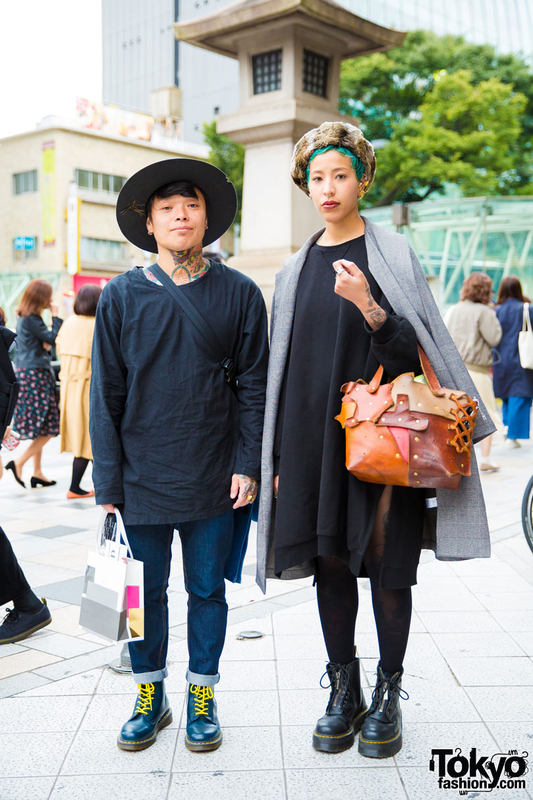 Harajuku duo in minimalist vintage street fashion with black long sleeve shirt, cuffed jeans, boots and patchwork crossbody bag, cape coat over sweater dress, stockings, zipper boots and a patchwork leather handbag. Harajuku girl in sunglasses and black lipstick wearing a harness over a kimono with printed leggings, boxing glove bag and lace-up boots. 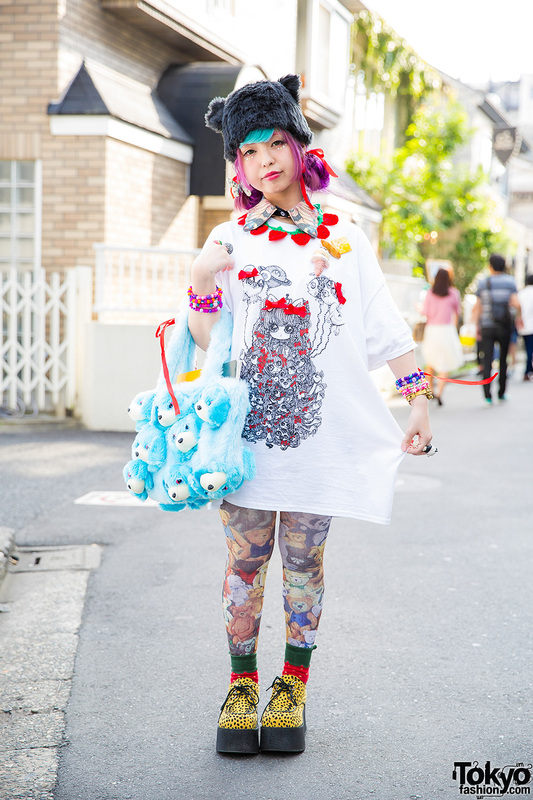 Harajuku girl with purple hair & faux fur hat wearing an oversized t-shirt with teddy bear print tights, plush bag, butterfly accessories, food brooches and dotted creepers.